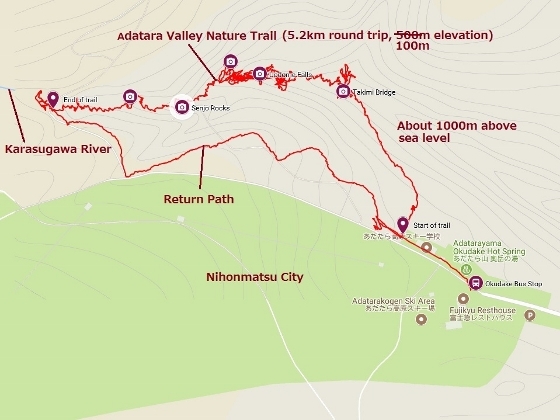 Today, I visited Adatara Valley Nature Trail on the foot of Mount Adatara. 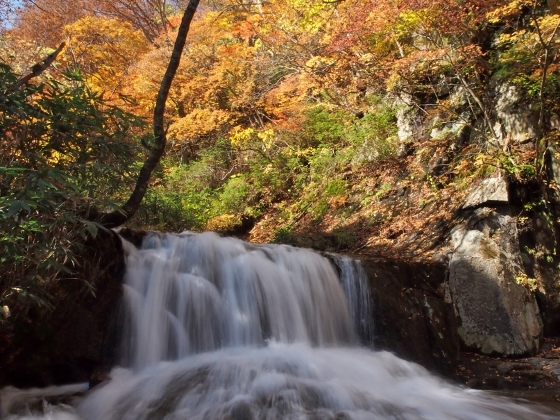 There were many waterfalls along the trail which went winding along the Karasugawa River. 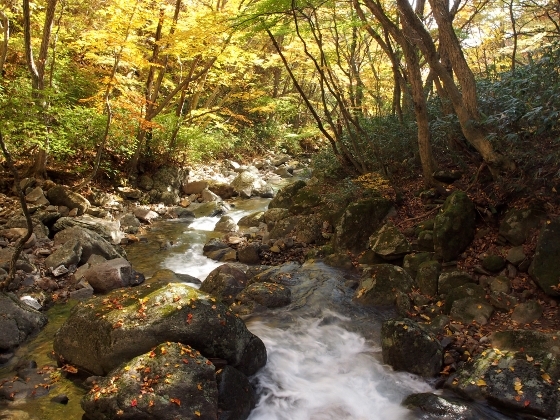 Photo above shows an autumn view near Senjo Rocks in the middle of the trail with plenty of waters flowing down the river. The trail itself was somewhat muddy with abundance of waters coming out of the ground. Photo above shows a map of the trail which stood at the starting point. It was several minute walk from Okudake Bus Stop. 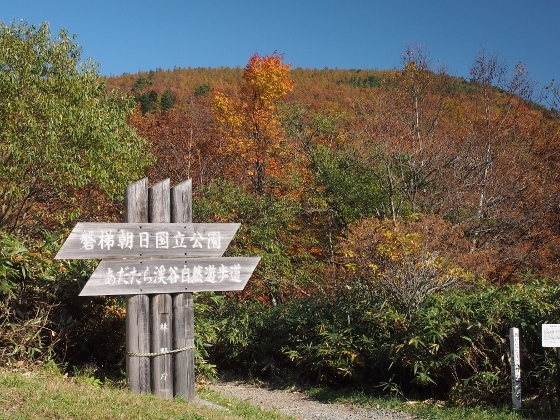 And you can get here by local shuttle bus service (Fukushima Kotsu Bus) from JR Nihonmatsu Station during autumn high season. The trail was 5.2km round trip and the elevation was about 100m. 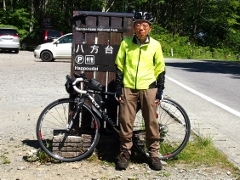 The location is about 1000m above sea level. It took me 2.5hr round trip taking pictures. This was a view of the starting point. 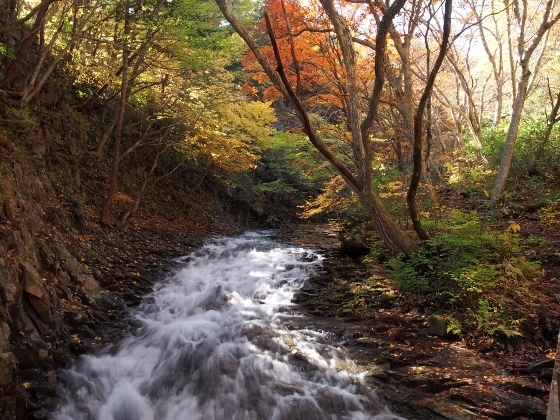 Photo above shows a view toward downstream from Takimi Bridge. 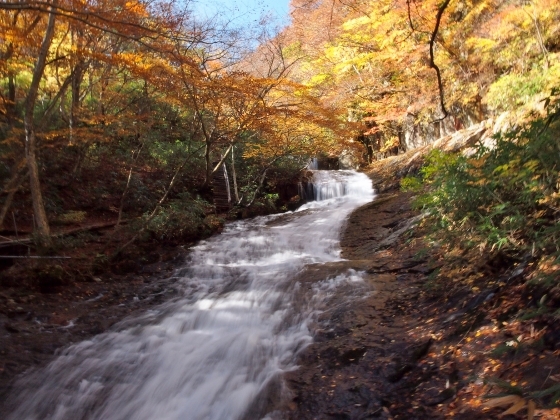 Photo above shows a view of waterfall called Uodome Falls, which means stopping fish to come upstream. 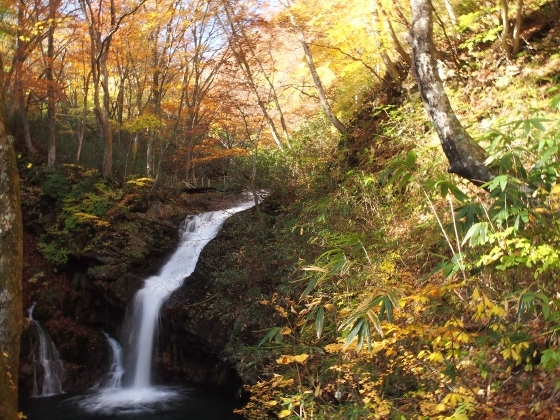 Photo above shows Shoryu Falls, which means Flying-up Dragon. 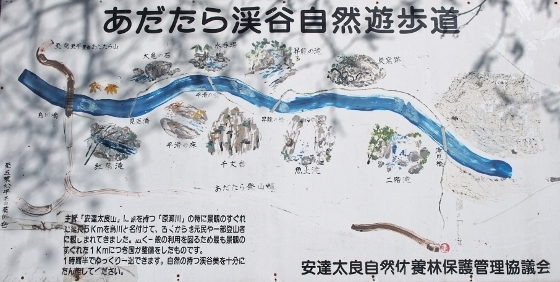 Photo above shows waterfalls called Hiraname Riverbeds.